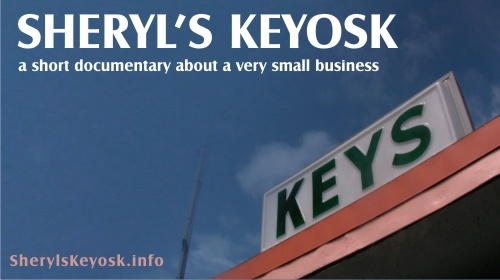 Sheryl's Keyosk is a documentary about small business owners told through a charming and unique perspective. Sheryl and keys. To make a well covered subject like this into an interesting and captivating watch is a testament to the director, Jeffrey Palmer. The DVD proceeds go into supporting the documentary go through its festival run.